Who Did Coin the Term Cloud Computing? Not Google, in 2006. Or Amazon, with its Elastic Compute Cloud (abbreviated “EC2.”) Or Dell, who tried to trademark the term in 2008, only to get lambasted by the ever-vocal computer programming community. Given the reach of the publication, and the incendiary nature of such a topic, I’m betting a dime that Regalado gets lots and lots comments (and mail flames) on his linguistic timestamp. Think of this in plain old cable terms. Ever ask an old-timer who built the first cable system, and where? It always comes out at least two ways: Oregon and Pennsylvania, in a dead heat. Besides, it just seems to me that “cloud computing” must twist back farther than 15 years. “Or service provider interaction”? Not to quibble with the nation’s standards setting body, but for the readers of this publication, and as this column has pointed out before: Cable is a cloud. Ever more so these days, as operators and program networks race to place clickable icons on all of our screens that can play video, but aren’t necessarily connected via a set-top box. Think about it: Headends are morphing into “data centers,” and every operator in the land is readying its “as a service” suffixes – in the cloud world, these go by “infrastructure as a service (IaaS),” “software as a service (SaaS),” and so on. Which brings into question whether “cloud computing” is synonymous with “network-based computing.” I’d say yes. Out of curiosity, and because cable’s engineering community is generally game for such controversy, I posted the link to the piece on Facebook, seeking harrumphs. Regardless of where you stand on the matter, you can’t ever go wrong in reading MIT Technology Review, which last year brilliantly asked whether what’s going on is a cloud – or a swamp. So, be super nice to your IT people. They’re who will make sure you’re a cloud, and not a swamp. Roku Gets a New Remote: Would You Like a Pandora Button? 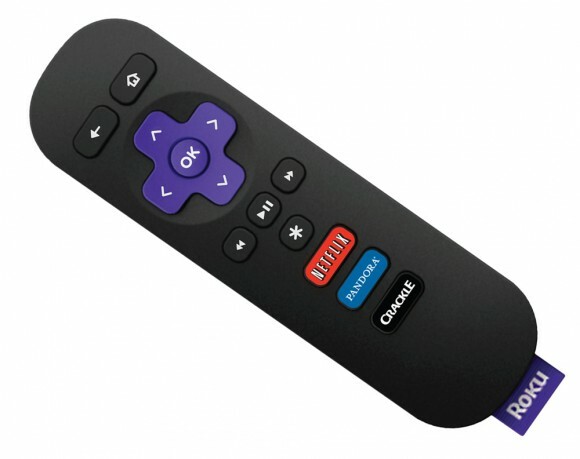 In the news this week, Roku is releasing a new remote control with dedicated buttons for Netflix, Pandora and Crackle. The remote is being bundled with the new $50 Roku LT, and it’s not yet clear whether current Roku owners will be able to purchase the remote control for their existing device. I have to admit, this is an idea I’ve found amusing ever since I first spotted the Netflix button on the remote control for our Samsung Blu-ray player in the lab. As we’ve all seen with Netflix and Amazon lately, popularity of a service can easily surge or decline with a single mis-step or content acquisition. It’s easy to imagine the day when these remote controls will be a quaint relic of our streaming video past, when Netflix and Pandora were popular enough to have their own buttons. Funny, but not particularly useful — it’s not all that hard to navigate to these services. But when I looked at the comments at the end of this Slashgear article, I seemed to be alone in my incredulous response. All of the comments were positive, and a few of the commenters said they’d love to have the new remote. Although one person did make a good point: Why no Hulu button? In-Stat released an interesting report earlier this year, questioning the long-term viability of dedicated streaming players. The report suggested that the growth of other connected devices, such as TVs and Blu-ray players, would eliminate the demand for dedicated streaming devices, and went so far as to predict that the popularity of standalone streaming players would peak this year before experiencing a rapid decline over the next five. Many of the connected TVs and Blu-ray players I’ve tried don’t quite seem ready for prime time. While dedicated streaming players are designed to stream video, these other devices have a different primary purpose and processing power often suffers as a result (game consoles are the obvious exception here, with more than enough power to handle streaming video). For example, I’ve seen a lot of complaints from people who have purchased connected TVs or Blu-ray players to watch Netflix or Hulu, and end up with poor resolution or a video that keeps pausing to reload. The first instinct is to blame the service provider, but in many cases the device is really the problem. When these same people try a standalone streaming device on the same connection, the problems often vanish altogether. Even on the very slow DSL connection at my house (about 5 Mbps), I get crisp video with no interruptions on all streaming devices. Connected devices like TVs and Blu-ray players will certainly catch up eventually, but the fact remains that consumers don’t make those big purchases very often. At this point, streaming players offer a better experience at a much (much) lower price. 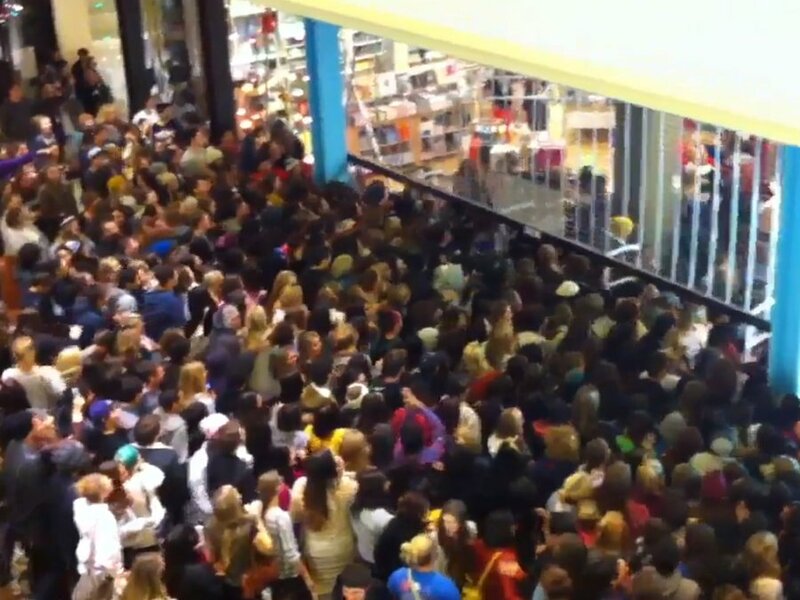 I think it’s likely that many people will wait a few years to see what happens before purchasing their next TV. Another thing this study fails to address is that a lot of people still have old TVs, and they will for a while. Many people keep their old TV around when they get a new one, and many of these streaming players (especially those with component output) are an ideal companion to a “dumb” TV in the guest room or kid’s room. In an era when there’s a lot of talk about home gateways, a small inexpensive set-top still has a lot of potential. This month Roku is releasing the LT, a scaled-down version of its popular player, with a $50 price tag. Not only is it bright purple — a cosmetic first in streaming players — I have a hunch the Roku LT will be the first in a long line of budget streaming players. The LT supports 720p video and composite video out, or, all you’d need for an older digital TV. All the same subscription services are available as on the more expensive models, and initial reviews are very positive. I think there’s still a lot of demand for dedicated streaming devices, and I wouldn’t be at all surprised if that demand continues to grow over the next few years. HDTVs are less expensive than they were a few years back, but they’re still expensive, and they become obsolete quickly. If you just bought a fancy connected TV, chances are you may find yourself connecting it to a Roku in a few years. Several new inexpensive streaming players are hitting the market this fall, and another device we picked up recently is the Netgear NeoTV 200. Netgear first released its “NeoTV” line of streaming players a year ago, with the NeoTV 550 (original price tag $219, now $199). The first device has DLNA and uPnP compatibility so that it can stream video from networked sources; the less expensive NeoTV 200 (available on Amazon for just under $75) doesn’t include this functionality. 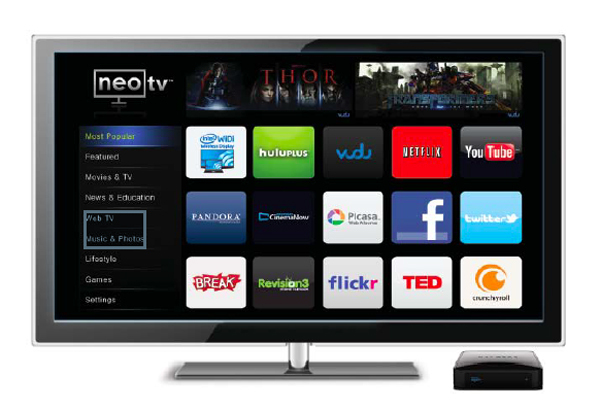 The NeoTV 200 is relatively small — just slightly larger than an Apple TV. It’s encased in shiny black plastic, which highlights the rippling effect where the top meets the sides. While this doesn’t affect performance, it does make NeoTV 200 look flimsy alongside virtually all the other devices in the lab. The remote control is nice enough — not too large, and the rubber buttons have a satisfying click, though at times the device seems slow to respond to button presses. Setting up the Neo TV 200 was a pretty simple process, due in part to the fact that there weren’t many subscription services to set up (the box only supports Netflix, Vudu and YouTube, so far.) The layout of the onscreen keyboard is average, but the remote control could be a little more responsive. I didn’t have to enter much text, though — the setup for this box is very similar to Roku in that it displays a 5-digit code for you to enter into a web browser. The main menu is where the NeoTV 200 really shines. The menu text could be a bit larger, but it is crisp and easy to read from 10 feet away. The sponsored movies from Vudu add interest to the top of the screen without making it feel cluttered. The logos for the various services dominate the screen, but I found myself thinking it would look a lot better if the Hulu and Amazon logos were up there alongside Netflix (Again – it only has access to Netflix, Vudu and YouTube). Netgear used the standard Netflix interface instead of designing a custom interface, which is not always a bad thing (see also: Sony SMP-N200). Like Roku devices, the NeoTV 200 provides access to a lot of free content sources. However, the NeoTV does more in the way of organization. Applications are grouped into categories, which I found much less overwhelming than browsing the Roku Channel Store. The flipside is that there’s no way to group your favorite channels together in one place. I find myself comparing the NeoTV to Roku quite a bit, which is interesting because Netgear was an original equipment manufacturer (OEM) for Roku, effectively giving Roku a foot in the door at many big box stores. 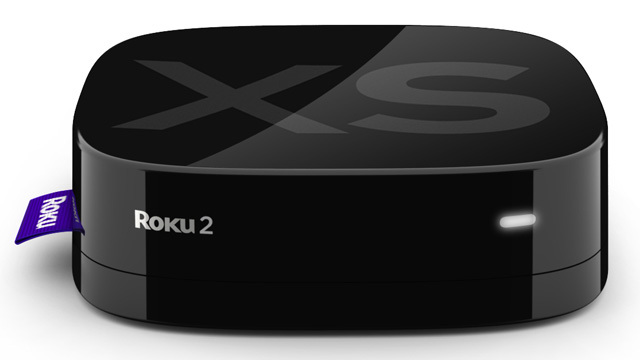 (That agreement ended in 2010, as Roku quickly grew some pretty big feet of its own). Unfortunately, Netgear hasn’t been able to secure the same agreements with service providers, and as a direct result, their device falls short so far. That’s far from a death sentence, though: Netgear has done a lot of things right with the NeoTV, and new services can always be added in a future update. 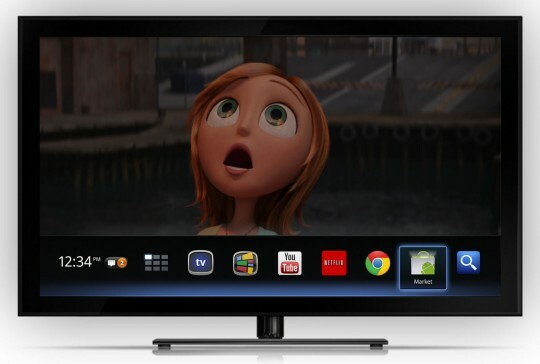 Google TV 2.0: Too Little, Too Late? Like many other early adopters, I’ve been eagerly awaiting the Honeycomb update that was originally scheduled to hit the Google TV last June, and which finally began rolling out October 30th (first to Sony devices, followed by Logitech). The Honeycomb update was not only long overdue, it was also sorely needed. Google TV launched with a lot of fanfare last year, but the excitement quickly fizzled as Hulu, followed by all the major service providers, blocked Google TV’s browser from accessing their streaming content. On the whole, and as Leslie often quips: The first iteration of GoogleTV didn’t work well as a TV or a PC. Consumer uptake waned. As a result, in July, Logitech dropped the price of its Revue to $99 (about a 60% reduction) after returns eclipsed sales. In early August, Sony followed suit by slashing prices on its Google TV devices across the board. The Sony NSZ-GT1 Blu-ray player, which was $399 last November, dropped to $299 and is now selling for $199. D’oh! Google TV 2.0 looked good on paper. The Android Market with apps optimized for TV, a simplified user interface, an improved YouTube experience, and improved search with a dedicated TV & Movies app? Sounds like a great idea. But, as usual, the devil is in the details. The “TV & Movies” feature seemed very promising — especially because it included search results from Amazon Instant Video, which previously existed only as a link to the main Amazon website in Google TV 1.0. Unfortunately, I was sorely disappointed. The app displayed search results from Netflix, Amazon, YouTube and other sources, but that’s where its utility ended. It didn’t show which results were Amazon Prime titles (and therefore free to Amazon Prime partakers), and it didn’t know which we’d already purchased. I had to follow a link to buy the title, which kicked me back out to the Chrome Browser to select my video. The Netflix integration wasn’t much better: The Netflix app crashed the first few times I tried to play a video, and required another button press to start the video once it launched. It ended up feeling like a whole lot of work for something that was supposed to make things easier. 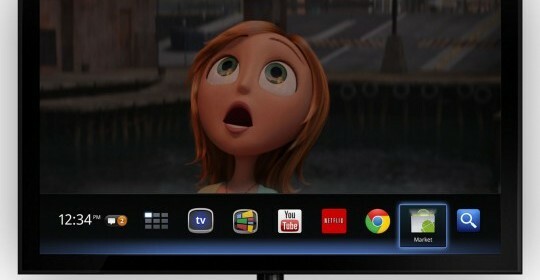 News of the Android Market coming to Google TV had me excited, I’ll admit. I imagined all sorts of useful apps, optimized for the television, and I couldn’t wait to give them a spin. But then I opened up the Android Market for the first time, and was greeted by the top TV app: AOL HD. (Sigh.) The featured TV apps also included a word scramble game, a couple of news reader apps, and an unintentionally hilarious app called Classy Fireplace. The most useful app, Clicker for Google TV, was buried beneath all the others. Unlike the preinstalled TV & Movies app, Clicker can actually tell which Amazon titles you already own, and which you can stream for free through Amazon Prime. Hallelujah! Poor selection aside, I ran into a major problem while trying to install these apps: They take a surprisingly long time to install. To boot, the install progress isn’t shown, but the application appears to be available right away. This resulted in about 20 minutes of cryptic error messages while I tried to launch an app, before I finally got a popup notification that it had been successfully installed. The most disappointing aspect of the “new” Google TV is that they removed useful functionality for apparently no good reason. In Google TV 1.0, pressing the menu button in any service or application gave you the option to exit. Alas. This is no longer the case, and only a few applications like Netflix actually have the option to exit. Instead, you’re left to push the “back” button repeatedly, or just pressing the home button (which leaves the application visible behind the home menu). Even more perplexing is that for the Sony Blu-ray player, there doesn’t seem to be a way to exit the Disc Player app at all — even the back button doesn’t work. I was really rooting for Google get it right this time, but once again great ideas were dampened by poor implementation. 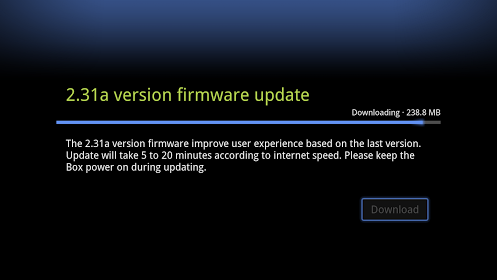 For all its delays, the Google TV platform still feels like a rushed beta version.